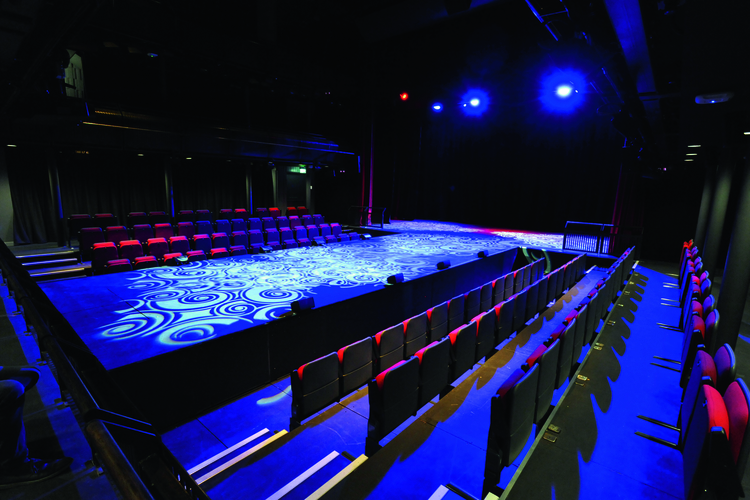 Autograph recommended an EM Acoustics audio system for the New Adelphi Theatre. Once it was approved by the team at the University of Salford, Autograph began the installation process. The audio system itself is essentially two PAs in one – a musical theatre end firing PA and a vocal PA. The proscenium system comprises six EM Acoustics EMS-126 loudspeakers in L-C-R positions, with two EM Acoustics EMS-61 loudspeakers as a side fill for the upper balcony, along with two EMS-118 subwoofers from EM Acoustics, too. The combination of end firing and vocal PAs under balcony delays and front fills are covered by 48 EMS-51 loudspeakers – with only 16 of these used for end firing delays / fills. As well as those, there are also two more EMS-61 loudspeakers mounted behind the main left and right speakers – these are used to provide side fill for the audience seated on stage. 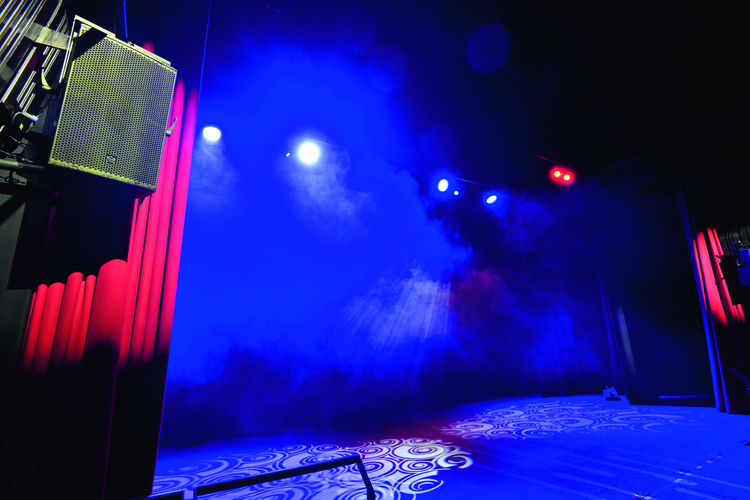 To highlight the flexibility of the system, the loudspeakers have also been programmed to be available as stage fill monitors when the theatre layout does not have seating on the stage. For control of the audio system, a DiGiCo SD9 console is used, as well as a DiGiCo Orange box, while a QSC Q-SYS 250i processor handles the DSP for the theatre – which is all done over Dante. The signal continues over Dante to seven EM Acoustics DQ10D amplifiers, which cover most of the required speaker processing. 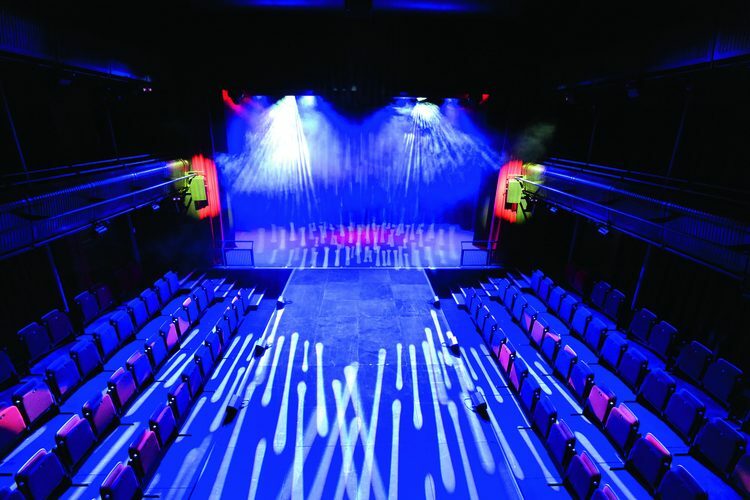 Stage Electrics supplied the lighting for the theatre. Among the fixtures used are 12 ETC Source Four 15/50 profiles, 12 ETC Source Four 25/50 profiles, 12 ETC Colour Source Pars, six ETC Colour Source Spots and six ETC Lustr MK2 profiles. As well as the range of ETC fixtures, there are eight Martin MAC Quantum Wash moving heads and eight Martin MAC Quantum Profile moving heads. 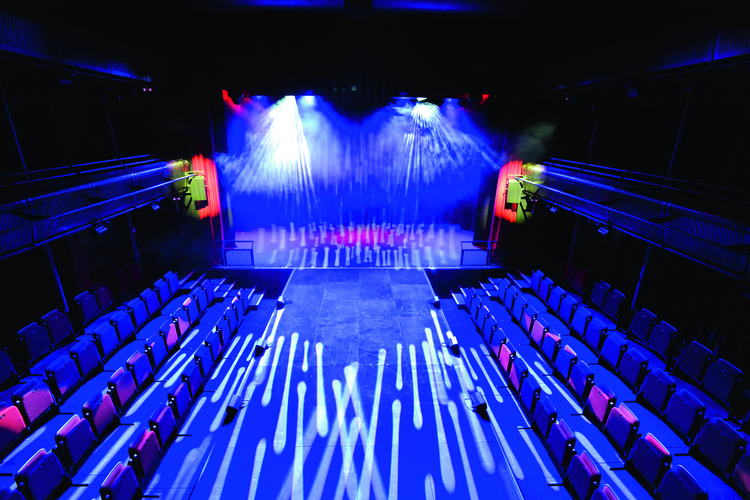 To complement the lighting, the team at New Adelphi Theatre have also added two Martin by Harman Jem ZR44 Hi-Mass smoke machines, two Look Solutions Unique 2.1 Hazers and two LED Strobes, which give the team more options in terms of creating specific atmospheres for performances and events. Although it was a successful installation, there were obstacles for Autograph and the team at the venue to overcome during the project, as the infrastructure typically limits how the system can be implemented. Thankfully, the team had enough speaker tie-lines to achieve everything they aimed. During commissioning, it was apparent that two sub positions were required to cover all seating layouts. To achieve this, the team needed to program a high pass/low pass switch in the Q-SYS snapshots to allow for the same facility panel to be used for front fills or subs, depending on the stage orientation. The team at Adelphi Theatre ended up with a versatile and high-powered professional performance venue. For an educational institution, it is just amazing.